Fans of Second Life will be pleased to hear that developer Linden Lab has finally released a public beta of the game's VR sequel, Sansar. This "creator beta" is a version of the game that will allow users to create virtual worlds for others to experience. It arrives in the wake of a lengthy closed alpha period (referred to as a "creator preview") in which a small number of users were selected to test out the VR platform's world creation tools. During that time, over 1700 virtual experiences were created - a number that will likely increase exponentially with the release of the this public beta. Because the creator beta is primarily designed to give users the chance to play around with the creator tools, it's limited in terms of functionality or gameplay features. In addition to the aforementioned world building functionality, users are currently able to create their own custom avatars and deck them out in outfits purchased from (and created by) other players -- using an in-game currency called "Sansar dollars" -- but they can't do much else aside from pick up objects and chat with other users. Things like flying, sailing and driving vehicles are still quite a ways off. If you're still interested in giving it a whirl, you can download the beta for free (even if you don't have a VR headset) and check it out for yourself. As far as pricing goes, Sansar will be free to play, just like Second Life. However, the game will also offer various "premium" service tiers that give subscribers select benefits - mostly related to the amount of virtual lots (also called "Experiences") they can own and build upon. Free accounts will only have access to three of these lots, whereas the paid tiers of service allow creators to create up to 20 virtual worlds (in addition to faster customer support). The "Creator" tier gives users access to 5 lots and a 48-hour customer service response window. The "Super Creator" tier gives users access to 10 lots, a 24-hour customer support response time and live web chat support. The final tier will run you a whopping $99.99/month, and will give you access to 20 lots, 1-business-day customer support response time (as well as phone and live chat support). 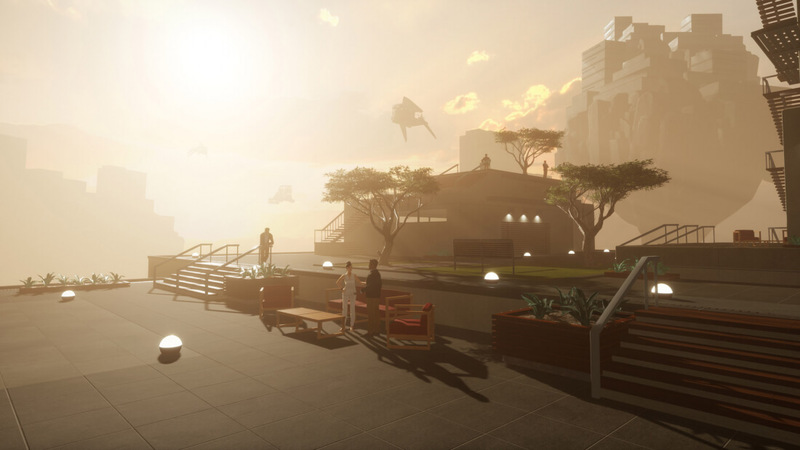 Four years in the making, Sansar is clearly seeking to capitalize on what made Second Life popular - while also attempting to create a more immersive, ambitious experience in the process. That said, with VR headset sales slowing down, only time will tell if lightning will strike twice for Linden Lab.